Tracing back to 1910s, Handel-Mazzetti, an Austrian botanist, collected plant specimens in the Southwest Hunan and found two different populations of Ombrocharis dulcis separately in Yunshan Mountain, Wugang County. He founded its obvious characteristics totally different from Paraphlomis and Loxocalyx. Therefore, he named it Ombrocharis H.-M. with one species only and gave a detailed account of it in Symbolae Sinicae compiled by himself in 1936. Since then, nobody has doubted its taxonomic status. For a century, this mysterious monotypic genus appeals to waves of botanists searching the trace of it across type locality, but nothing has come of it. It was once thought of distinction in the wild. 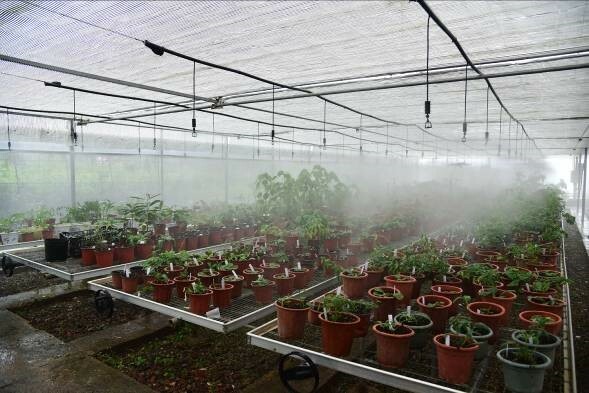 Recently, related university and scientific research units in Hunan Province put native plant investigation on the agenda. With valiant efforts, the traces of Ombrocharis dulcis are finally found in Mangshan, Ningyuan and Tongdao, far away from the original place Yunshan Mountain. Identity confirmation is well grounded in expert review and comparison between original description and type specimens and this mysterious Labiatae reappeared after a century. 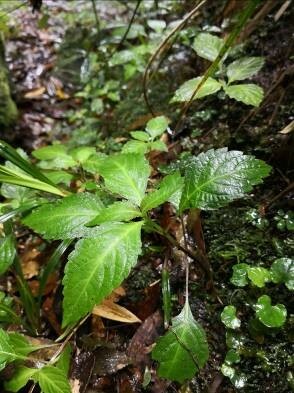 Hunan Forest Botanical Garden, the crucial ex-situ conservation base for native plants in Hunan, led the team of CUBG project “Full-Coverage Conservation Plan of Native Plants in China” to start the in-depth study of this panda-rare plant for rescue. They first clarified of its characteristics in biology and ecology, then introduced them in the garden’s conservatory for cultivation. It finally roots in botanical garden-the Eden of plants. “Next we will carry out the research on its domestication and conservation.” Dr. Peng Chunliang, Director of Hunan Forest Botanical Garden, said, adding that they will explore to identify its taxonomic status with molecular biology methods.